Set in the hilltops above 1,000 feet above the Pokhara Valley in western Nepal is the 11 room boutique eco-conscious hotel Tiger Mountain Lodge. With spectacular Himalayan views, this is the perfect base from which to enjoy the stunning local landscape. Tiger Mountain Pokhara Lodge provides a perfect haven post-trek, or for the more culturally curious you can take a day walk to exploring local communities or just to relax in a typical Nepalese rural setting. 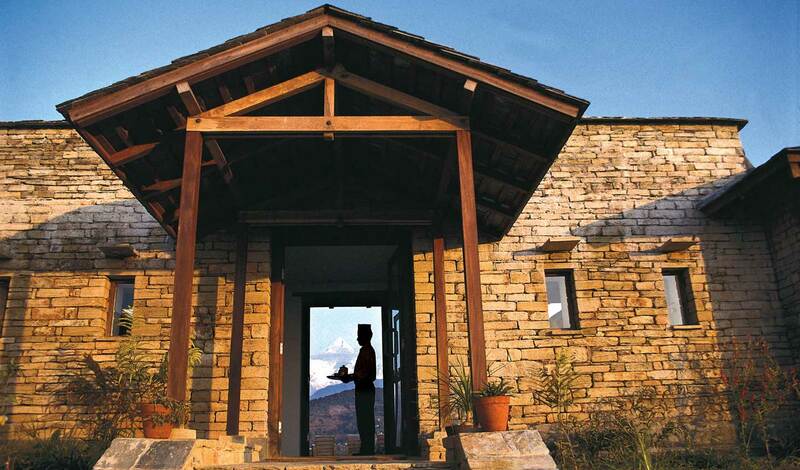 Tiger Mountain Lodge is situated on a spectacular hilltop ridge a thousand feet above the Pokhara Valley. Here you can enjoy endless panoramic mountain views of Machhapuchhare, and three of the world’s 8,000m Himalayan peaks, Dhaulagiri, Annapurna and Manaslu, in western Nepal. The lodge is easily reached from Kathmandu, by a half-hour flight to Pokhara and is then only 14km away from Pokhara town center. 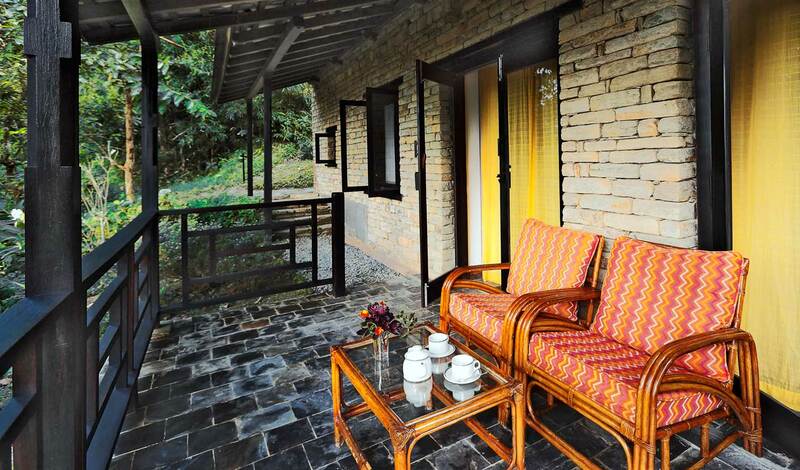 This peaceful lodge offers 11 rooms in stone bungalows which are designed to resemble a local Nepalese village. Rooms are furnished in calming colors to reflect the local landscapes and come with verandas overlooking awe-inspiring Himalayan peaks. Built with local stone the rooms provide a cozy retreat with cool slate and parquet floors, rich Tibetan rugs, handmade wood furniture, and original artwork. Most importantly the large windows and glass double doors help you maximize the glorious views of the amazing location. From the moment you step inside the lodge, you’ll feel instantly at home here. After a long day out exploring you’ll need re-fueling with a hearty meal. Luckily the lodge’s kitchen provides daily table d’hôte menus that feature a range of Nepali dishes and continental specialities made from local fresh ingredients and home-grown herbs and garden salads.